Personalized lime green & black 46” arc printed umbrellas look very impressive against all backdrops. This color combination of lime green & black is used for brand theme generation by marketers with creative interests. 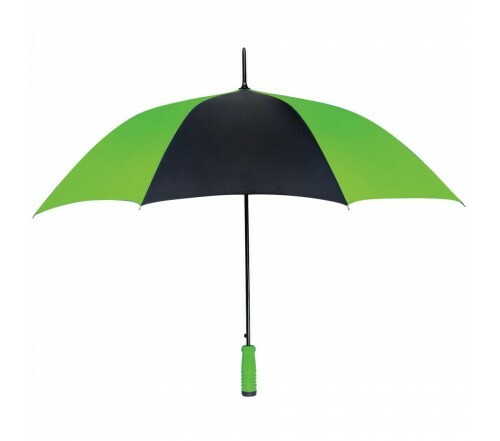 Promotional lime green & black 46” arc printed umbrellas are sought for bulk gifting during special marketing events.